Happy Tuesday Friends! I hope your week is off to a great start. 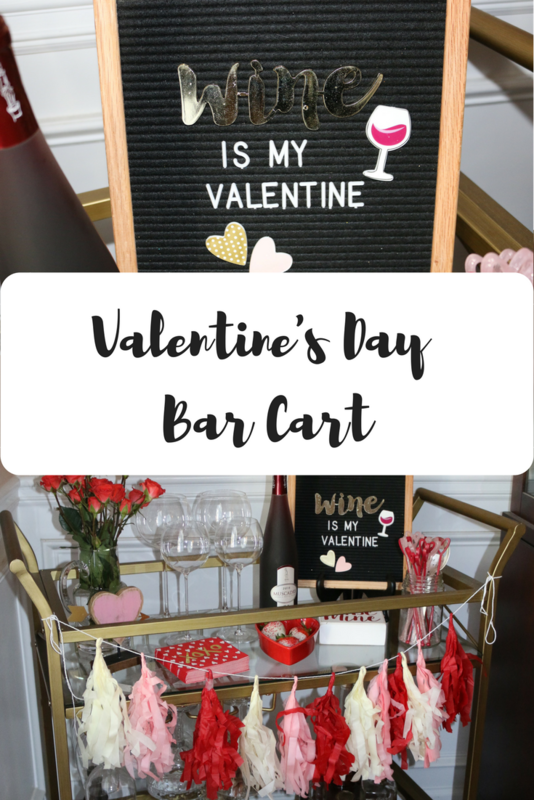 I am SO excited to share my Valentine's Day Bar Cart. It is so fun and festive! I hope you enjoy it. I love fresh flowers. Especially during the winter months. Do you remember Lindsay mentioning her "Olivia Pope" Wine Glasses? Well, I fell in love with the stems. They are gorgeous. I ordered the red wine and white wine since I enjoy both. I have watched Scandal yet but I plan to as soon as I finish Parenthood. 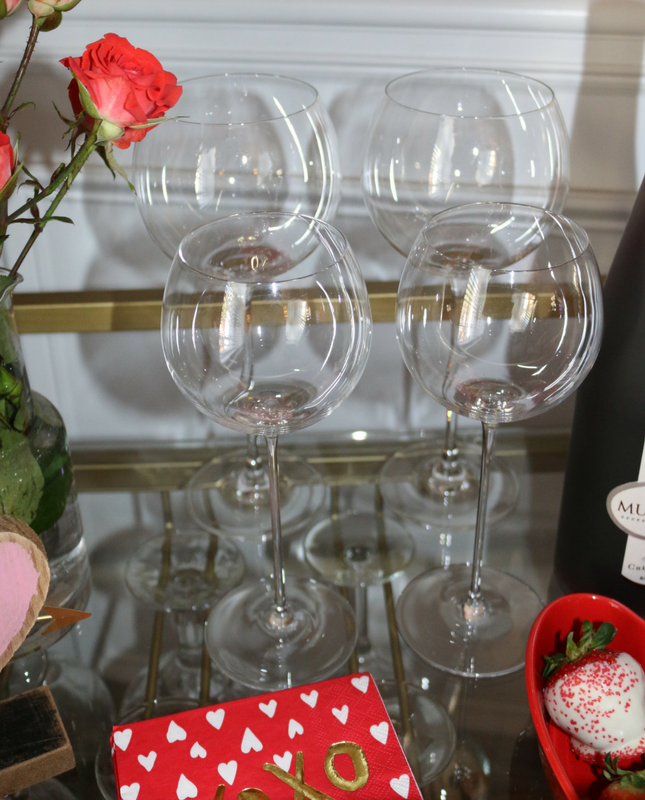 Wine, Chocolate, and Strawberries...YES, Please! This is a wine from a local winery. 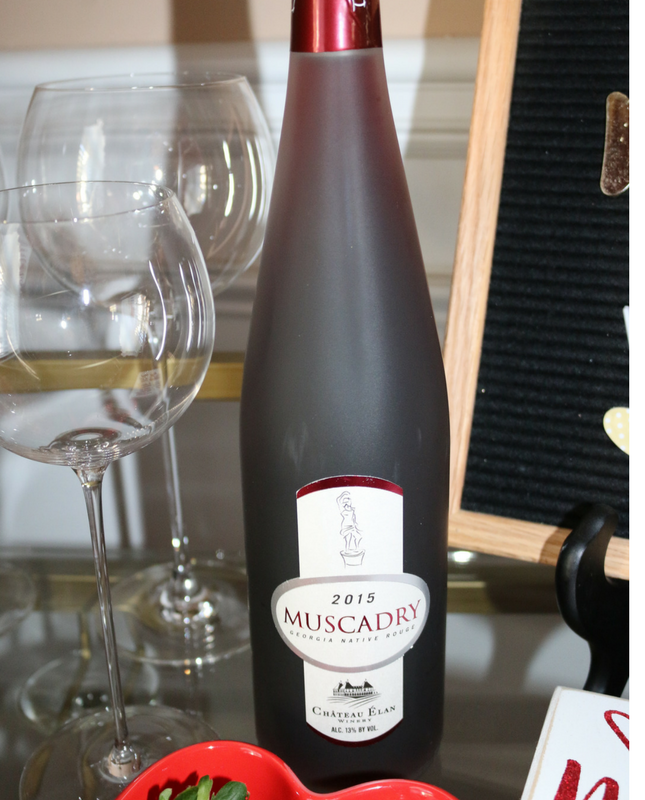 I usually do not love wine that is made from muscadines but this one I really enjoy! You know the beloved letterboard had to remain. 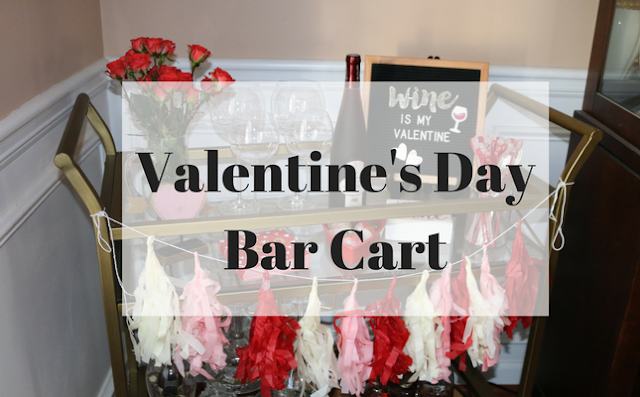 Remember my Wine is my Valentine post from last year? A few other touches of "love" that I have around the house are these plates from Target. 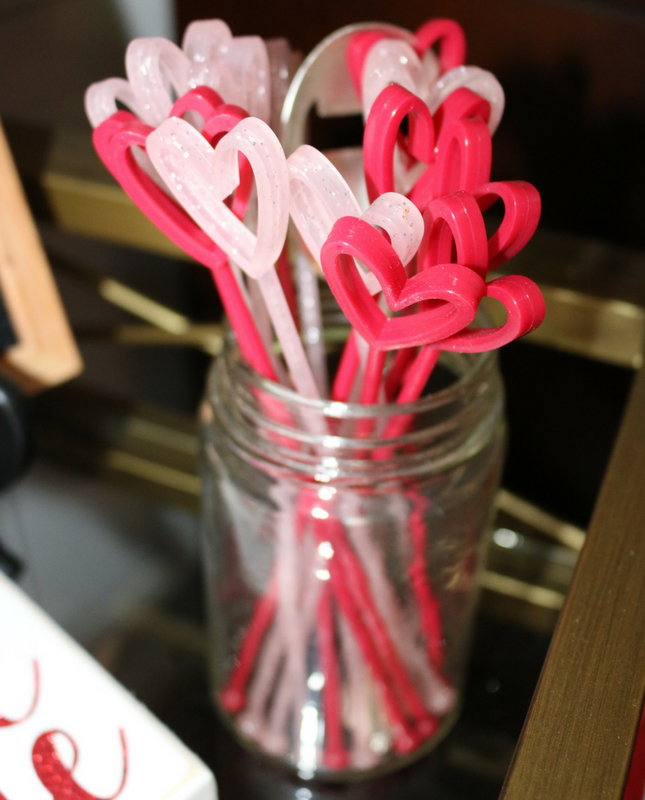 Valentine's candy is a must. 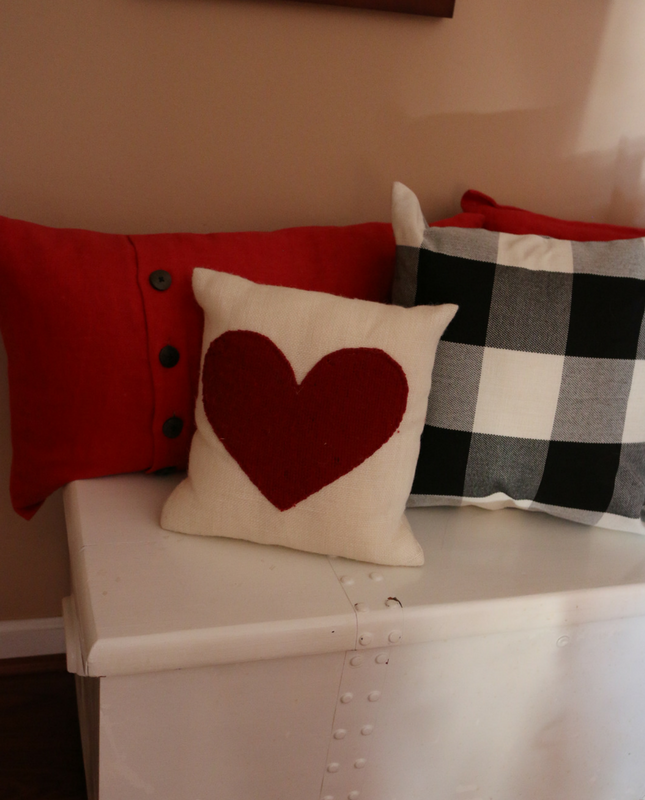 This cute heart pillow is from Missy at The Little Green Bean. 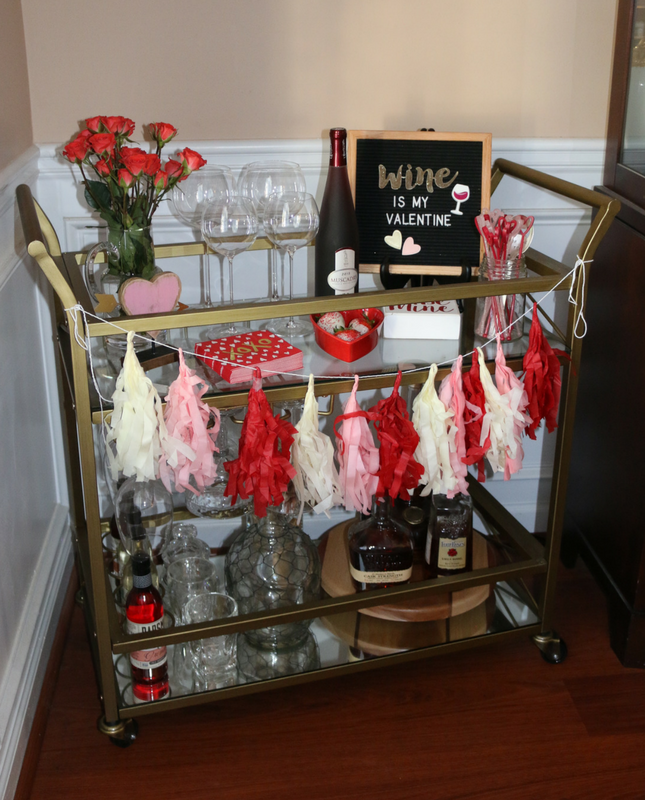 So what do you think of my bar cart? I love it!